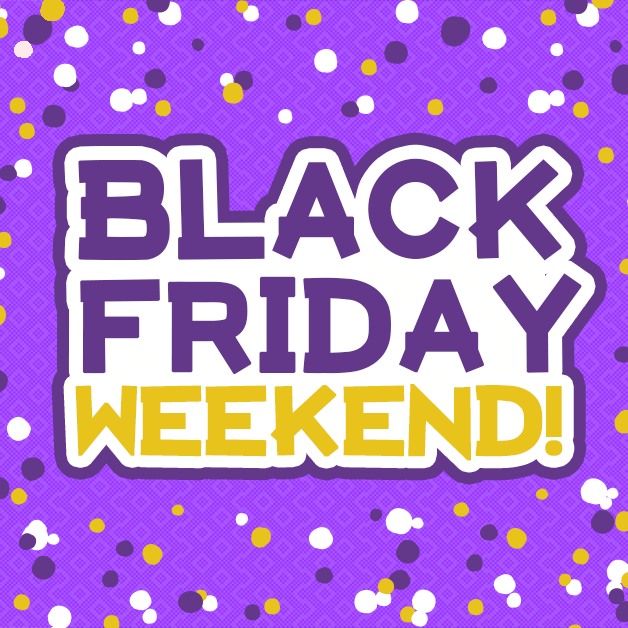 There’s holiday magic in the air and the deals are smoking hot at Walden Galleria this Black Friday Weekend! We will be extending our hours of operation for your shopping convenience! Don’t miss out on the BIGGEST shopping event of the season! Take advantage of exclusive sales and promotions that you won’t find any other time throughout the year! 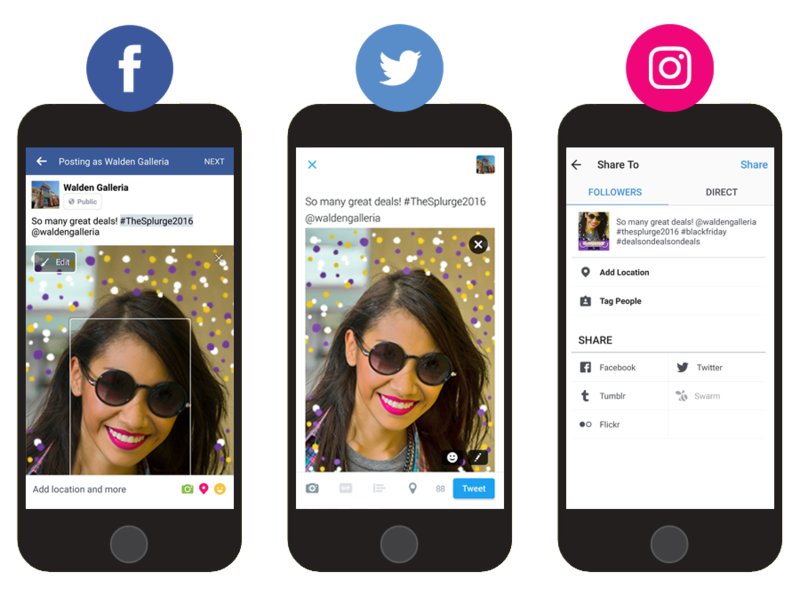 Snap, Share, Win! Black Friday $250 Gift Card Giveaway! Step 2: SHARE it on Facebook, Twitter, or Instagram using #TheSplurge2016 and tagging @waldengalleria. Step 3: WIN a $250 gift card if you are the selected participant! One lucky winner will be announced after the submission deadline at 10pm on Black Friday, November 25th! 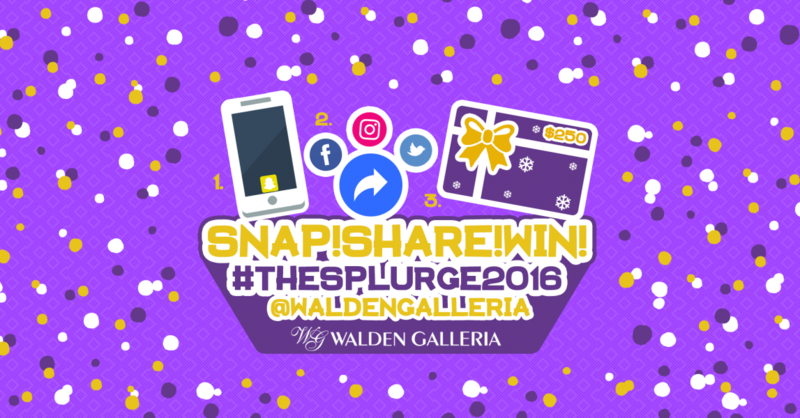 All submissions must be images or pictures posted on Facebook, Twitter, or Instagram using Walden Galleria’s Black Friday Snapchat geofilter, the hashtag “#thesplurge2016”, and by tagging us at “@waldengalleria”. Submission window begins at 8pm on November 24th and ends at 10pm on November 25th. 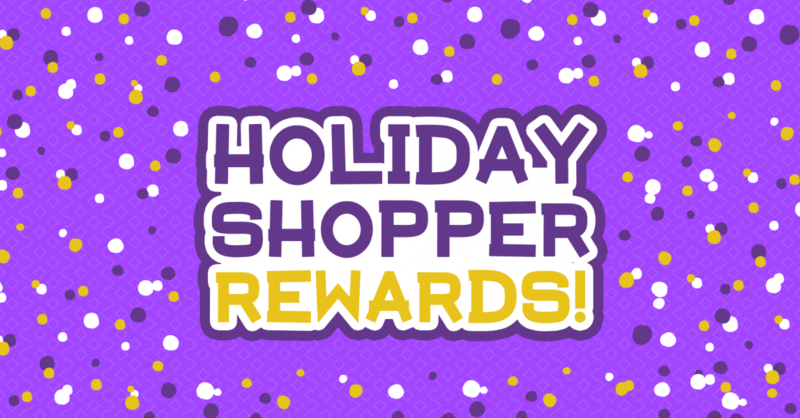 Shop at two or more stores at Walden Galleria during the holiday season and receive a FREE GIFT! Offer valid from 11/24/16 through 12/31/16. 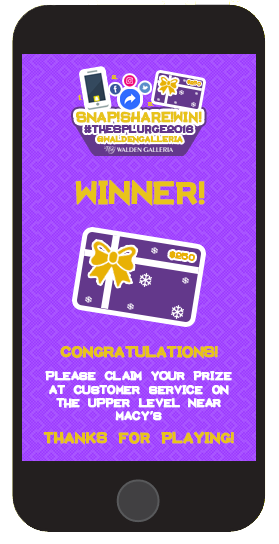 If you have 2 or more shopping bags from stores, restaurants, or entertainment venues at Walden Galleria, stop by the Customer Service Desk located on the upper level near Macy’s to receive your FREE GIFT! While supplies last. Customers must have shopping bags from Walden Galleria stores, restaurants, or entertainment venues. Promotion is subject to change without notice. See Customer Service for full details.